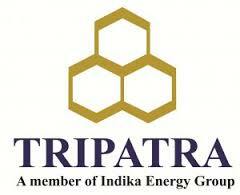 TRIPATRA (www.tripatra.com) is a reputable EPC company in energy sector that have been operating in Indonesia since 1973. Since its establishment in 1973, Tripatra have consistently offer the best solutions in energy industry, our key of strength is delivering high quality services in Engineering, EPC, O&M and Project Management to assist world-wide clients in various sector : Oil & Gas, Downstream & Petrochemical, Mining and Infrastructure. Tripatra have strong commitment, professional management team, fully support by multidiscipline engineering workforce with high caliber engineer both from national & multinational experts. Develop process engineering deliverables in compliance with code, standards, client specification, engineering quality plan, E&I business process and regulation in process engineering discipline & monitors its implementation to ensure effective and safe operation in clients project. 2. Having experiences as Process Engineer and in O&G industry min 3 years. 3. Strong knowledge in process simulator, HYSYS, etc. 4. Have an ability to prioritize workload and meet deadlines. 5. Strong analytical and problem solving skills.